The most challenge of iPhone 5/5c/5s is making the most of the 16GB of space available on it. Updating to a newer version of iOS is a difficult task, and we often run out of space for photos. There may be times when you may find even 64GB or 128GB is not enough space for all you want to keep. So, how to manage storage on iPhone 5/5c/5s in order to manage with just 16GB of space for storage of apps, photos, music. And how do we keep from filling the phone up to capacity? Instead of going through all these strenuous steps, you can get iMyFone Umate Pro or iMyFone Umate Pro for Mac - the iPhone ultimate cleaner to free up iPhone storage. It's fully compatible with iOS 12. Clear hidden temporary files from iOS to release huge free space. 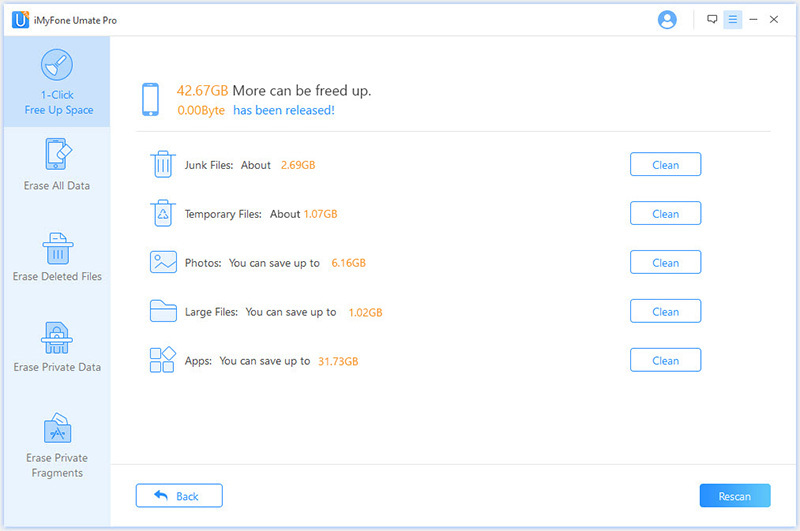 Smartly Manage Photo Storage: Losslessly compress photos, mass delete photos on iPhone but not iCloud, export iPhone photos. Delete large files to free space. Unwanted videos with large space can be deleted. To free up your iPhone storage, you just need to connect your iPhone to your PC, and run the program. Enjoy high performance and save storage space on your devices by following the simple steps and clearing up all the extra memory space. If you don’t use apps just delete them to get more storage on iPhone 5/5c/5s. 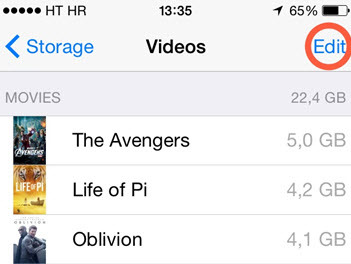 While many apps eat up between 10MB to 50MB , games can use between 500MB to 1GB of storage. These files needs to be removed to create more space. HD movie can take up to 3.5GB of space. They need to be cleared to provide more space. Go to Videos app and click the Edit button in the right hand corner. A little X will appear next to every video in the app. Click the X icon to delete any videos you don’t need again. You can perform the same routine for iBooks. Go into iBooks and click the Select button then choose any book you need again and tap the “Delete” button. Everyone knows that photos take up a lot of room on iPhone 5/5s/5c, so it is better to delete older photos in the Photos app. However, what many people don't know is that any new photo they take is actually being store as two images and meaning your space is filled up twice. This happens because the iPhone allows you to take HDR images . When you take an HDR image the original non-HDR image is also saved by default therefor making it, two images. 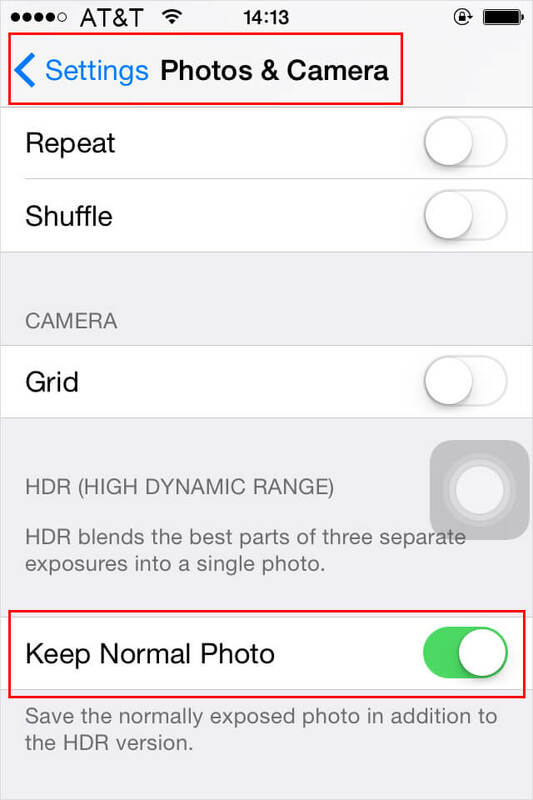 To deal with storage almost full on iPhone 7/6/6s/SE/5/5s/5c, we should disable saving the original image, go to Settings>Photos & Cameras and toggle the Keep Normal Photo icon to off. Your Messages history can take up a lot of gigabytes of space if you are the type that receives a lot of messages. 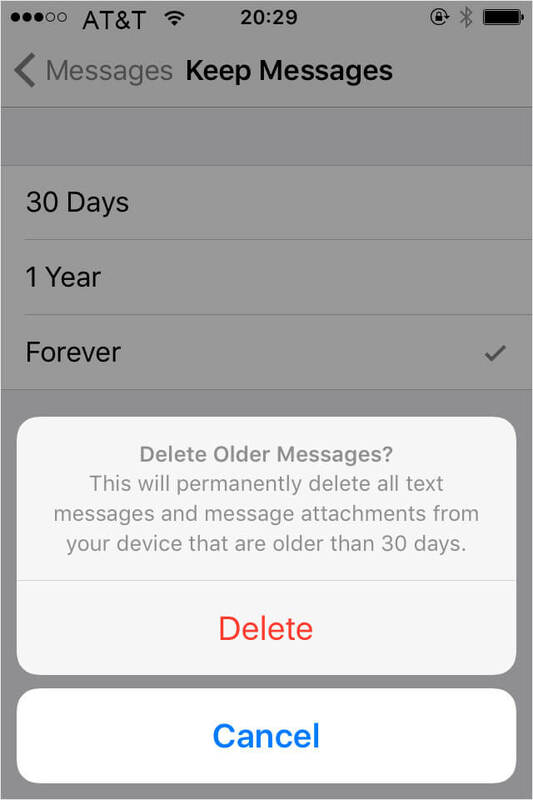 To put this to effect go to Settings > Messages and under “Keep Messages” set it to 30 days or 1 Year. Click Audio and Video messages to expire after two minutes. Moreso, you can delete many threads one by one by opening the Messages app and then swiping left on a thread and tapping Delete. Voicemails takes up a lot of space on your iPhone and lead to iPhone 5/5c/5s storage full. To delete Visual Voicemails go to the Phone app then tap on the Voicemail button. Find the voicemail you want to delete and then swipe left on it and tap the red Delete button.